Tadhg and the Seven Dragons. Novel Excerpt. The Write Launch. Series Introduction: Tadhg and the Seven Dragons is a series of short stories built around an eleven-year-old boy named Tadhg (pronounced ‘Taig’), who was given the gift of a magical amulet one Halloween night. Little did he know the amulet housed the ancient spirit of a dragon named Greatwing. Tadhg must help Greatwing find the six other amulets and free the dragons within before the demonic ‘Others’ force open the portal between the worlds and destroy them all. The cool crisp wind made Tadhg and his friend Jayden shudder as it blew past them, causing the fallen leaves to dance across the grass. They had spent the afternoon flying kites, the blustery fall day providing all the wind they needed for hours of fun. 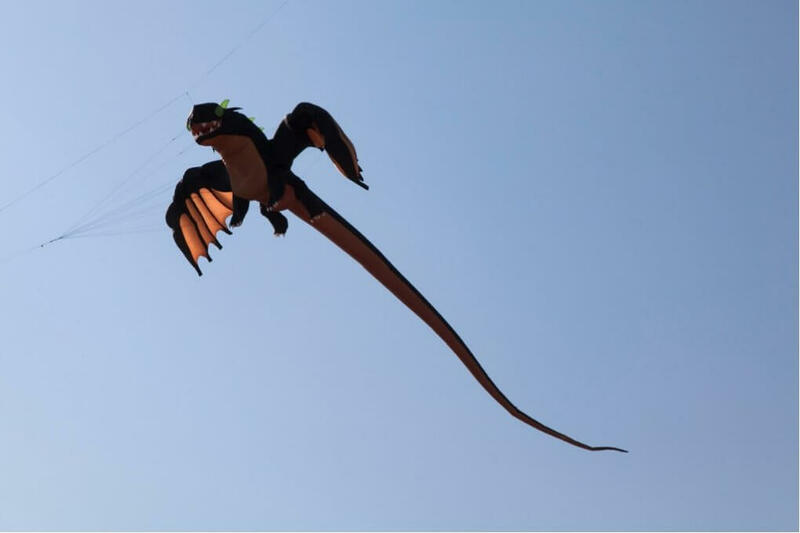 Tadhg had been eager to try his new kite for the first time – it was shaped like a black dragon, with wings spread wide and a long, spiked tail. Walking home from the park, the boys quickened their pace as the sun slipped behind the clouds and the late afternoon light began to dim. Tonight was Halloween, and the boys were eager to get home and change into their costumes to go trick-or-treating. It was dusk as they finally reached their street, with row after row of neat brick homes lined up like soldiers along the lane. Jack-o-lanterns flickered to life, the bright yellow-orange flames dancing inside the pumpkins, causing the carved faces to glow in the deepening twilight. As the boys reached the road that led to Jayden’s house, a hulking great shadow loomed out of the darkness, jumping from behind a large oak tree. “Boo!” yelled the figure, causing the boys to jump back in fright, their kites falling to the ground. The figure lumbered towards them just as the streetlight at the corner came to life, bathing them in a pale white light and unmasking their attacker. Jayden’s older brother guffawed and ignored his little brother’s threat. “No!” yelled Jayden as he threw himself at his brother. The older boy just grinned as he shoved his little brother, easily knocking him and Tadhg to the pavement. “Leave us alone, Tavin!” said Tadhg with a scowl. He hated Jayden’s older brother. The fifteen year old picked on them both constantly, and he and his friends were the biggest bullies at school. Tadhg stood up and brushed off his jeans, motioning for Jayden to follow him. He reached down and gathered up the broken remains of his kite, the dragon’s neck hanging at an odd angle. “Come on, we’ll just go to my house,” he said as he and Jayden walked away from Tavin. They could still hear the older boy laughing as they climbed the steps to Tadhg’s front door. “It’s not fair!” shouted Tadhg angrily, as his mother fussed with his costume. He was dressing up as a wizard this year, with flowing black robes and a silver dragon stitched on his chest. They were running late and his mother was trying to run a comb through his unruly hair. “What’s not fair, darling?” she asked as she pressed her fingers down on a particularly troublesome lock that was determined to stick out the wrong way. Tadhg’s eyes stung as he choked back tears, and his friend Jayden just stared at his feet. Both boys knew Tavin would be waiting for them somewhere in the neighborhood to steal their candy at the end of the night. “Now, smile while I take a photo,” said his mother as the flash from her smartphone lit up his face. Grabbing their trick-or-treat bags from the table, she ushered the boys out the front door and into the night. Tadhg and Jayden roamed the neighborhood for over an hour, until their Halloween bags were bursting with sweets. There was only one house left on the lane, and as they approached the door Jayden tugged at Tadhg’s arm before he could ring the bell. A few moments later the bright green door swung inward, and a woman stepped towards the boys, smiling. In her mid-forties, her long dark hair flowed across her shoulders, and she was dressed in a set of wizard’s robes, just like Tadhg. “This is Jayden,” he replied, gesturing towards his friend. “It is a pleasure to meet you, young Jayden,” she said with a polite nod. “My name is Miriam, and this is my cat, Dreyfus,” she said with a gesture towards a large, black tabby cat curled up next to a jack-o-lantern. At the sound of his name the cat opened one eye, yawned, stretched, and went right back to sleep. “It looks like you’ve had a busy night!” she said, pointing to the Halloween bags full of sweets. “I just wish we would get to eat our candy before he takes it away,” said Jayden, sadly. Tadhg’s smile faded as he looked up at her. “What do you mean?” she asked, a look of concern spreading across her face. “Hmm,” she said in a mercurial tone as she raised an eyebrow. “You boys wait here just a moment,” and she stood up and walked back into the house. A few minutes later Miriam reappeared, and she held her hand out to Tadhg. He reached out and she placed a small amulet in his hand. It was carved in the shape of a green dragon, with a Celtic symbol emblazoned on the wings. As Tadhg looked at it, the dragon’s eyes sparkled mischievously with a strange inner fire. “A dragon!” shouted Tadhg with a grin. Tadhg clasped the dragon tightly and swore he could feel an odd sensation, almost like a heartbeat, coming from the amulet. Tadhg hugged her tightly, thanking her again for the precious gift. She laughed and ruffled the boys’ hair, bidding them a good night. Dreyfus opened an eye and watched as the boys left. “They’re going to be scared out of their wits, you know,” purred the cat as he yawned and stretched again. “Oh, shush!” scolded Miriam. “That young man will be just fine. He will be an excellent companion for a dragon, you’ll see.” She snapped her fingers and the flame inside the jack-o-lantern snuffed itself out, leaving Dreyfus in the dark. As they walked back down the lane, Tadhg reached into his robes and put the amulet in his pocket. The boys decided to head back home, as it was nearly midnight and the porch lights began winking out as another Halloween drew to a close. They were walking past a large, vacant lot when a familiar figure loomed out of the darkness. Tavin was wearing his trademark faded jeans and black hoodie, his unkempt brown hair poking out from beneath the worn fabric. Jayden and Tadhg reluctantly handed over their bags of sweets to Tavin, and the older boy grinned. He poked his finger roughly into Tadhg’s chest, right where the silver dragon was stitched onto his robes. Without warning a loud shriek echoed across the vacant lot, like a thousand banshees screaming from the deep. The boys jumped, Tadhg’s eyes snapping open as he and Jayden grabbed onto each other and looked around for the source of the commotion. Not far down the lane Tavin had dropped the bags of sweets and appeared to be staring at something in the shadows of the vacant lot. The wind tore past the boys, almost knocking them down with the force. A huge cloud of leaves erupted violently from the dark shadows directly in front of Tavin, and as Tadhg watched, they swirled skyward and gathered into a huge form hovering high above the teenager. Gradually the mass of leaves took the shape of an enormous dragon, with outstretched wings and a long, spiked tail. With a flash of bright golden light the dragon’s eyes flared to life and it looked down at Tavin. The beast opened its massive jaws and with a roar, green flames shot forth and singed the top of Tavin’s hoodie. As it unleashed a second roar that shook the ground beneath their feet, Tavin bolted, scurrying down the lane like a frightened dormouse. As the older boy ran, the great leafy dragon hovered for a moment and watched, before flapping its giant wings once and spinning earthward, in pursuit of its prey. In mere seconds it caught up with the terrified teen who was screaming at the top of his lungs. The dragon’s jaws opened and before Tavin could dive out of the way, they snapped shut around him as the beast banked and soared skyward again. Tadhg and Jayden watched as Greatwing spread his wings and banked across the sky high above them, before hurtling straight downward towards the street below. Just before hitting the pavement at the end of the lane, the beast flared its wings and spiraled towards the boys. Its eyes flashed brightly and leaves suddenly exploded outward with a thunderous howl, sending Tavin rolling roughly down the lane. As the wind died down and leaves fluttered back to Earth, the teenager landed at Tadhg’s feet, his chest heaving as he gasped for air, his face pale and his eyes still wide with fear. Tadhg just smiled as he clasped the green dragon in his pocket and looked at the quivering teen in front of him. “There’s no such thing as dragons,” he said quietly with a smile. An avid reader of science fiction and fantasy novels all his life, Michael Radcliffe published his first novel, The Guardian’s Apprentice in 2010. He has written four novels and seventeen short stories, most of which feature characters and creatures from the world created in his first book. During the day, Michael is the Chief Risk Officer for a regional community bank. Michael lives in rural Kentucky with his wife and their seven cats, and enjoys spinning stories out of the wisps of magic around him. Read more articles by Michael Radcliffe. All original work attributed to Michael Radcliffe © 2017 Michael Radcliffe.